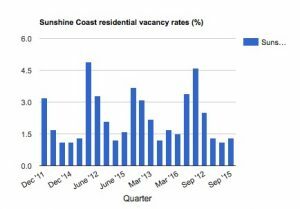 THE property price cycle which has pushed prices up in the capital cities in the last few years is about to turn the Sunshine Coast’s way. Property analyst Michael Matusik has forecast a five percent rise in rents and a five to 10% increase average residential property prices on the Coast during the next year. The optimistic outlook for the Coast’s property market contrasts with ominous signs for some of Australia’s most prestigious postcodes, where Macquarie Bank has tightened lending on apartments because of fears of oversupply. Mr Matusik said the Coast’s property market tended to peak after the major capitals and was in a good position for growth because of a combination of factors. 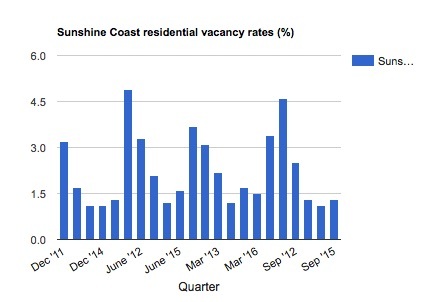 “The Sunshine coast is in a good position – it’s been down for quite a while, it takes time for markets to become under-supplied and for values to drop until they’re affordable, and investors to come back and for people to be able to afford to sell their homes,” he said. Urban Development Industry Association Sunshine Coast president Andrew Stevens said the Coast was faring better than other areas, such as the Brisbane CBD, Surfers Paradise and Cairns, where Macquarie has restricted lending, because it did not have an over-supply of units. Mr Stevens said developers on the Sunshine Coast were “more considered” in their approach and the Coast was poised for steady growth. 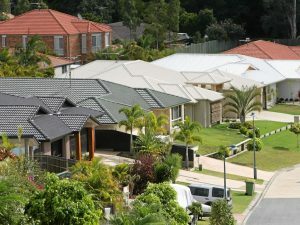 “When you look at what the (rental) vacancy rates are, being less than 1.5%, there’s a clear message that we need more product and a variety of product into the marketplace to ensure that housing doesn’t become under-supplied and that we can meet the rising demand of the changing demographic,” he said. Mr Matusik said he understood some people would be skeptical about the talk of growth because other predictions had so far not eventuated but he said the ingredients were ready. He said the Sunshine Coast often missed out on the increases that happened in other areas but the opening of the Sunshine Coast University Hospital meant a difference this time. He said the hospital would create demand for accommodation in the Kawana area as well as housing estates in the Caloundra area and, to a certain extent, the hinterland. But property owners looking for the 20-30% increases of the past are likely to be disappointed. “That’s not going to happen,” Mr Matusik said. He forecast growth would be slower but steady in a market that was for owner-occupiers and investors rather than buyers looking to profit from capital growth.